Gerber Diamond Knife Sharpener | BUDK.com - Knives & Swords At The Lowest Prices! 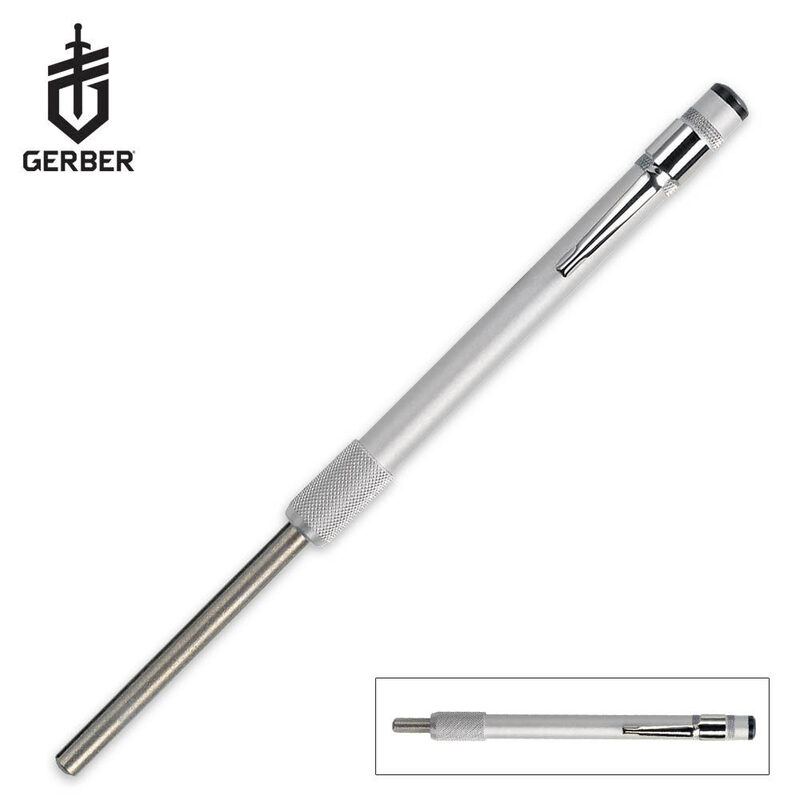 The Gerber Diamond Sharpener with pocket clip retracts into its handle for easy accessibility and is great for putting a quick edge on your fishing hook or blade in the field. The first time I used it more than 1/3 of the diamnods came off. It looks like good quality but unless it is defected, it is not worth the money.